When you are looking to be a successful Amazon seller, it’s important to find some unique angle for your product. However even this comes with a catch! Even if you do come up with something amazingly innovative, finding your product from thousands of listings out there is daunting. Aside from owning a winning product you need to differentiate your brand from other out there. For this, you need a tool which matches your passion and helps your business grow exponentially. Helium 10 could be that tool out there. It is packed full of features and we can have a detailed look at them. 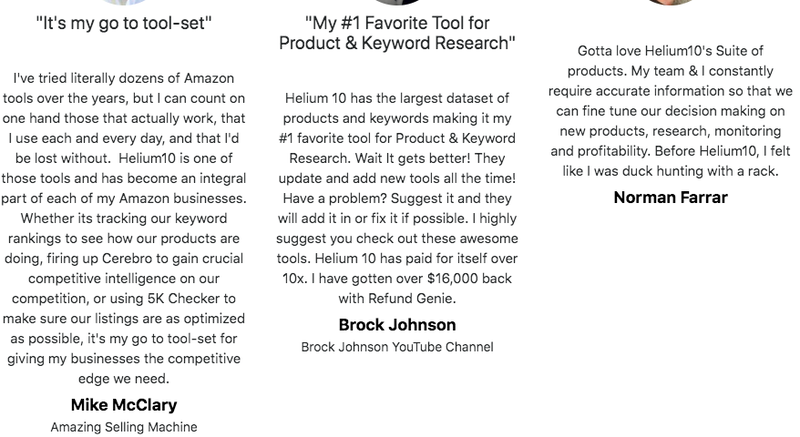 From finding that your winning product to optimizing product listing, Helium 10 can help you every step of the way. The first step is to do your own product research. Tap into a niche with lesser competition but more demand. Using the Black Box, you can find profitable products based on any criteria you set. This is one of the most powerful product research tools in the market today which will help you find a winning product in seconds. This is Helium 10’s most sought-after tool where you can use advanced filters to see the products which are in demand and popular through the year based on customer searches and various other metrics. A magnet is a keyword aggregator to find optimal keywords for your product listings. All you must do is enter your main keyword and with Magnet, you can pull out the best keywords. Another important tool, the X-Ray delivers you important metrics for your business-like sales, revenue, reviews which can help you find the potential of a product. Launching new products with the data to back it helps you do so with confidence. Frankenstein is a keyword processor helping you process keywords into cash-generating keyword lists. You can easily process huge lists of keywords which will help you pull in massive traffic and sales. Scribbles is a keyword optimizer which will attract more traffic to product listings and increase your sales. With Scribble, you can find valuable keywords and optimized titles, bullet points, descriptions, for better sales results. Keyword Tracker allows sellers to keep track of the changes of their keywords in their marketing efforts to see how each change affects how product listings rank for given keywords. Index Checker allows sellers to find which of their keywords are getting indexed by Amazon. It is a free time saver for improving your marketing efforts. Alerts prevent fraud by monitoring that no one else is selling your products or altering your listings. Inventory Protector helps set limits on how many items can be purchased from you by individuals so that your inventory is not emptied out. Refund Genie locates any damaged inventory which should be reimbursed by Amazon. Trendster allows you to analyze products to determine their seasonality quickly and with ease. 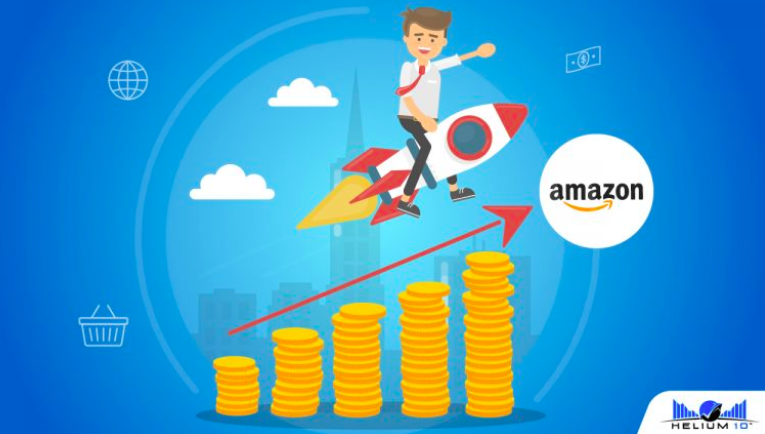 This financial tool provides accurate analytics and accounts thereby helping you maintain accounts of your Amazon sales thereby knowing your profits. This Amazon email automation tool helps you keep your customers happy and beat your competition. Cerebro helps to discover your competition’s keyword strategy and is a popular tool. You’ll also gain access to useful information like estimated search volume, the number of competing products, etc. Where does Helium 10 Score over other Amazon Seller Tools? You don’t need to use different tools for your research with Helium 10 because you can get all your data from a single platform. It’s a go-to tool-set for several successful businesses giving them the competitive edge they need. Get a free account and also avail their free plan for 30 days. Their a la carte plan helps you choose specific tools you need so you don’t have to purchase the whole thing. It provides you with in-depth data to streamline your product launch strategy. It makes spying on the competition easier. Helium 10 has a free membership which is very limited to start out with, but it’s very limited. 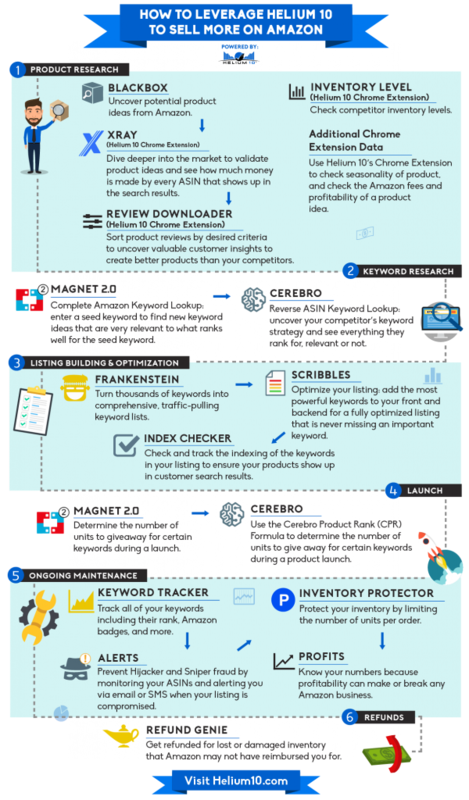 You only track 20 keywords and use Cerebro two times. Besides you have the limited a la carte plan where you get to choose the tools you need. However, $97/month for a tool burns a hole in the pocket of newbies and it is slightly on the expensive side. Many Amazon sellers both big and small have expressed how their business grew in leaps and bounds using Helium 10. The Keyword research tool is rated highly and so is the Cerebro. Here are some genuine reviews from users on their site. If you do not subscribe for any minimum period, you can cancel at any time with a 30 days advanced notice and you will not be charged any additional amounts after the effective date of such termination. Helium 10 is absolutely worth the price if you wish to be a top Amazon seller. $97-$197 is a lot to spend for newbies but remember, by getting better rankings, under more keywords you’ll simply make more sales, meaning more income. Helium 10 has every step covered to develop your business. However, it could be too large for comfort for beginners but definitely worth a try.